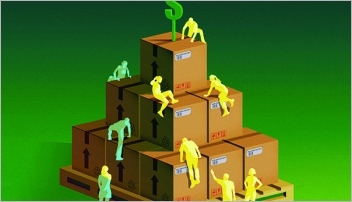 How Serious is the Holiday Supply Chain Talent Shortage and What Can We Do About It? The holiday season highlights the seriousness of the supply chain talent gap and magnifies its consequences. Failing to attract and retain labor during this critical period reduces an organization’s ability to serve customers and challenge competitors. DHL Supply Chain, the world’s largest supply chain organization, provides best practices for minimizing the impact and attracting and retaining talent from the warehouse floor to senior management. In 2015, the opened eyes across the industry when they predicted a shortage of more than 90,000 drivers by 2020. Now, that prediction is becoming a reality and the supply chain labor shortage is no longer limited to drivers. With unemployment at record lows and the increased sophistication of today’s supply chains requiring new skills, many organizations are having difficulty finding quality candidates to fill positions from the warehouse floor to the highest levels of supply chain management. The impact of the shortage gets magnified during the holiday season when retail and e-commerce warehouses aggressively try and fill warehouse jobs to meet peak seasonal demands, in many cases, offering hiring bonuses and other perks to attract workers. This is having a ripple affect across the industry, creating short- and long-term consequences that include reduced agility, slower product movements and increased customer dissatisfaction. As the world’s largest supply chain organization, is committed to helping the industry address this issue by sharing the best practices we have undertaken to ensure we continue to recruit and retain the talent required to consistently meet our customers’ needs. As an industry, it’s become critical to bring the same operational excellence we apply to managing product movement to recruiting and retaining human resources. More focused, professional recruiting, supported by automated processes that extend from application to pre-hire testing to onboarding, has proven effective at expanding the number of qualified applicants for open positions and can be particularly valuable when an organization is preparing to ramp up to meet high seasonal demand. One of the byproducts of the high demand for supply chain workers is increased turnover as qualified employees move from job to job seeking hiring incentives. This puts some organization on a treadmill that accelerates during the holiday season as more workers leave than can be recruited. At DHL, we’ve been able to reduce turnover among hourly workers by improving onboarding and training processes, increasing scheduling flexibility and training managers to act as coaches that work collaboratively with hourly workers to ensure customer expectations are met and workers’ personal goals are achieved. In addition, offering associates at all levels more of a career path can be a valuable incentive that deters job hopping. Our Dock-to-Driver program provides training to help warehouse workers make the transition from the warehouse to the road where they have higher earning potential. The talent gap is a problem of supply and demand. Although the need to increase the supply of talent can’t be ignored, particularly during the holidays, there is also an opportunity to better manage demand by optimizing processes across the supply chain. Whether in the warehouse or on the road, it’s never been more critical to find ways to increase productivity without overtaxing human resources. In the area of transportation, analytics and network optimization software are making more efficient use of available capacity. 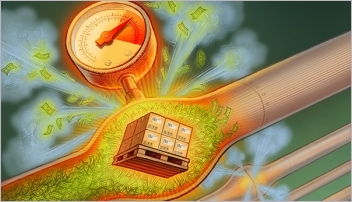 Tactics such as shipment consolidation and aggregation, and cross-docking, when applied properly, can reduce LTL shipments, increase capacity and reduce miles. That means fewer drivers on the road. 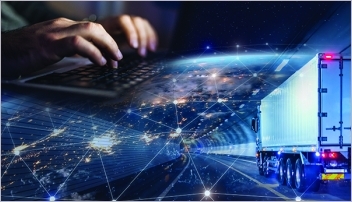 We are also actively monitoring emerging developments, such as truck platooning, in which trucks are connected by technology to operate as a platoon, allowing more freight to be moved with fewer drivers. Similarly, in the warehouse, increased use of data and analytics, along with automation, is increasing worker productivity. In addition, shared-use warehouses allow productivity to be managed across multiple organizations, minimizing the number of workers required to support peak periods for any single organization. 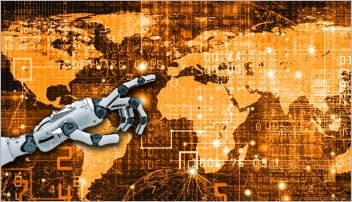 Throughout the year, supply chain organizations have to focus on continuous improvement, finding better ways to use the talent they have by intelligently applying technology and expertise to every aspect of operations. While the talent pool is limited, it is also broader than it may first appear. One of the challenges the industry faces is that operationally inclined young people often don’t consider the supply chain as a viable career path. We are setting out to change that by working with universities that offer operations management programs to provide in-class supply chain education while supporting the growth of college-level supply chain organizations. The results have been promising. Many of the students we talk to are excited about the opportunity the supply chain presents to work with some of the world’s leading brands, especially when they learn about the strategic and competitive impact the supply chain can have on those brands. The right candidates are also motivated by the challenges involved in managing the speed and complexity of today’s global supply chains. The supply chain talent gap represents a real challenge for the industry, particularly during the holidays, but individual organizations can keep that challenge from becoming a crisis by working with an industry leader, like DHL Supply Chain, that is taking a multi-faceted approach to attracting and retaining dedicated associates and supply chain professionals.